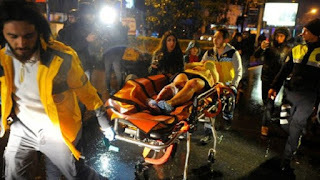 ISTANBUL, Turkey - At least 35 people were killed and 40 wounded in a “terror” attack in Istanbul Sunday when gunmen reportedly dressed as Santa stormed an elite nightclub where partygoers were celebrating the New Year, the latest carnage to rock Turkey after a bloody 2016. 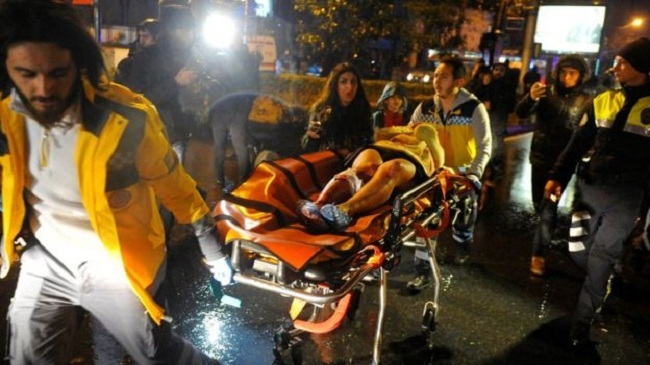 Two gunmen entered the venue dressed as Santa and spraying bullets at random inside the Reina nightclub, one of the city’s most exclusive party spots, Dogan news agency said. 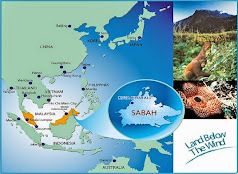 “Unfortunately, at least 35 of our citizens lost their lives. One was a police officer. 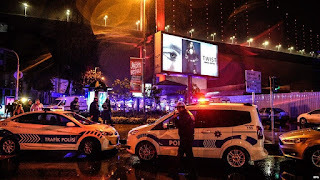 Forty people are receiving treatment in hospitals,” Vasip Sahin told reporters at the scene of the nightclub on the Bosphorus in the city’s European side. “What happened today is a terror attack,” he added. 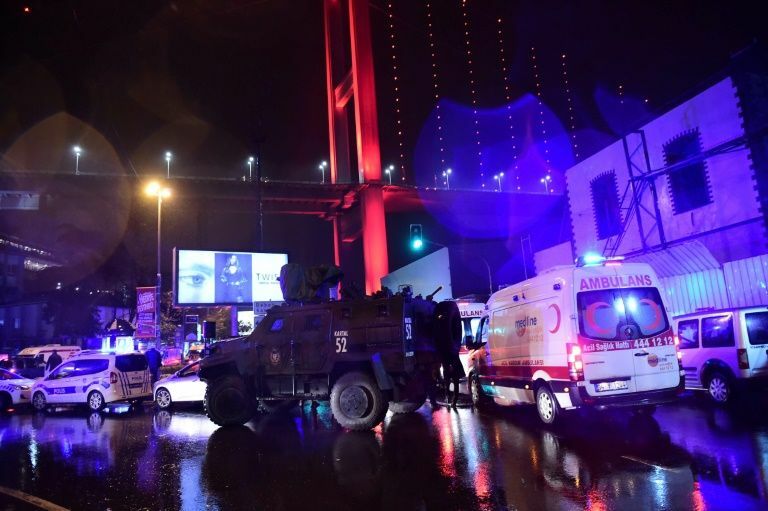 Many party-goers threw themselves into the Bosphorus in panic after the attack and efforts were underway to rescue them from the waters, NTV television said. 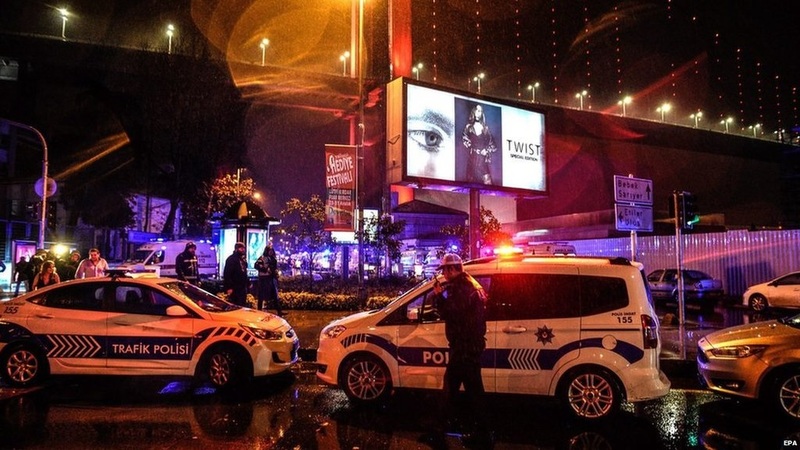 Dogan news agency reported that some witnesses claimed the attackers were “speaking Arabic” while NTV broadcaster said special force police officers were still searching the nightclub. TV images showed the scene cordoned off by police officers. 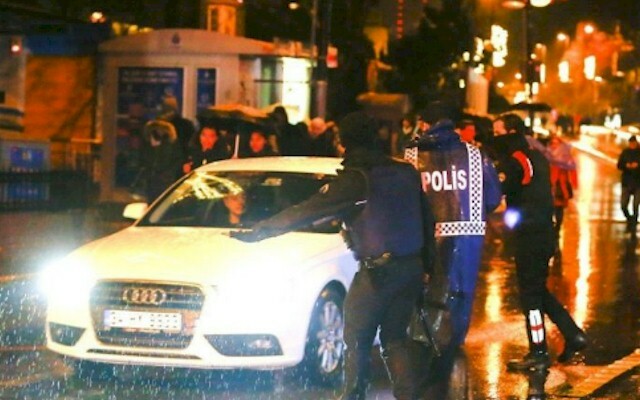 According to Dogan, there were at least 700 revellers celebrating the start of 2017 at the club. Television pictures showed the New Year partygoers — including men in suits and women in cocktail dresses — emerging out of the nightclub in a state of shock.